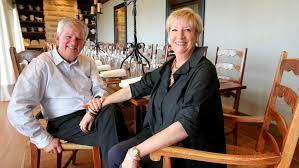 Like many hospitality businesses Hilton South Wharf experiences difficulties in attracting suitable staff. And matching variable business demands with skilled and motivated staff. They recognised that enhancing their current training and development strategies could help them improve staff retention and performance. So they sought out industry experts AVTES. AVTES worked with Hilton South Wharf Director of Human Resources, Lyn Blight, to develop a Training Action Plan. The plan would drive training for the organisation, the management team and individual employees. The training was tailored to meet the organisation’s preference for workplace based learning. Through discussion and an initial training needs analysis it was identified that developing a supervisory team with strong leadership and management skills was integral to meeting their future workforce needs and business goals. Hilton already had a strong focus on learning in the workplace and providing staff with career pathways. They regularly identify staff performing at a high standard for further training and development and succession planning. interpersonal skills, particularly conflict management. leading by example and building self-esteem of team members. delegation and empowering staff to make good decisions. Staff have direct access to online feedback systems. Structured ‘swing bys’ by the hotel General Manager where he discusses key topics and staff have the opportunity to ask questions and raise issues of concern. Special lunches and dinners for staff are held twice a month where staff birthdays, reports of positive customer feedback, Team Member of The Month and Staff Recognition Program are all celebrated. 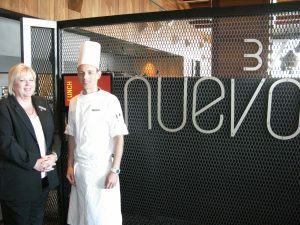 Working with AVTES, Hilton South Wharf was able to recognise pre-existing skills of staff in a variety of roles within the organisation. Many had the skills and knowledge and through recognition of prior learning and some additional training were able to gain a nationally recognised qualification. Lyn felt staff enjoyed the recognition. “The recommended training options were very effective in up-skilling employees as well as clearly linked to financial incentives,” she added. team building, group bonding and building morale. supervisory staff using training to problem solve real work issues. trainees were given project briefs based on workplace situations where they gained skills whilst simultaneously benefiting the organisation. staff stayed with the organisation to complete their training. involvement in the program from all levels within the organisation (from the General Manager, department heads, to line staff) moved the organisation closer to creating a learning culture. Lyn Blight also praised the whole training program as being ‘hassle free, consistent in its delivery, professional and inspirational’. To discuss your how training could improve your staff retention and performance call AVTES on 1300 764 418 now.